When did mutilated statues become pop normality? Western museums are filled with decapitated Buddha heads for one reason and one reason alone: they are easier to loot than the whole statue. To move a whole statue, you need a truck, a bunch of friends, and time. 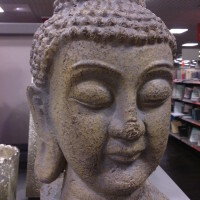 One person with a knapsack and a metal bar to whack the statue with can steal a head and transport it. The head is pretty enough and small enough to be concealed during trafficking. 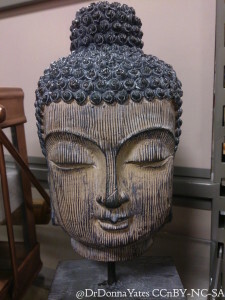 Foreign museums are packed with Buddha heads. South and Southeast Asia is packed with Buddha bodies. Many museum-goers don’t realize this: that the statue was intentionally mutilated to bring the head to the market. 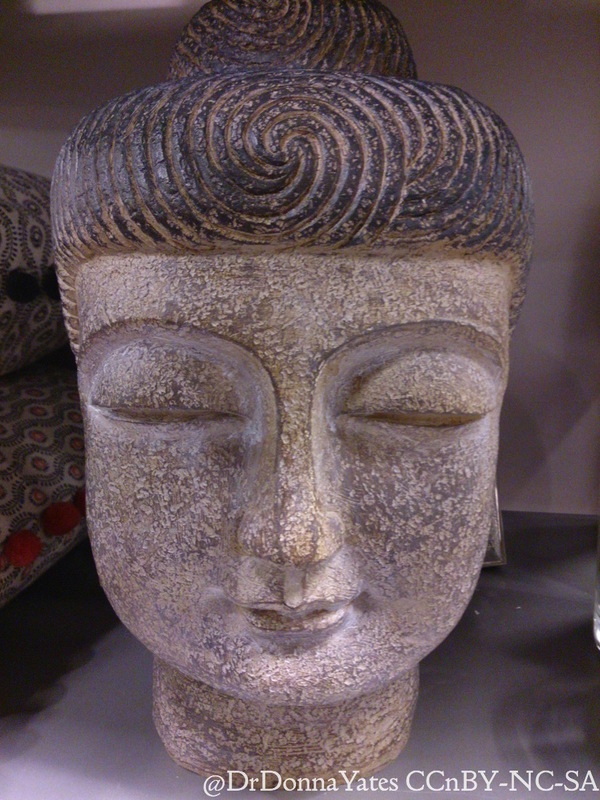 Many people assume that the heads were made to, you know, just be heads. That they aren’t something missing from a greater whole. Moving on from that, at some point in our cultural ingestion of decapitated Buddha heads, the pieces became symbolic of a certain type of cultural clout: a way to display a certain brand of pseudo spiritual artsy refinement in your home decor. 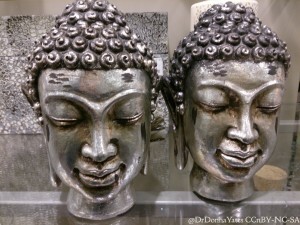 Some how the heads became totally divorced from destruction, symbolizing the opposite of it. 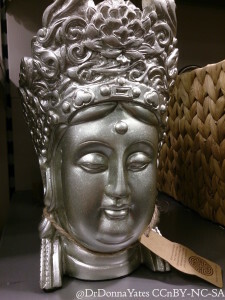 I’m not quite sure how that happened, but I suspect that it reflects a western popular collapsing of Asian history which denies ancientness when it exists and prioritizes form and artistic merit over true sacredness. Most people have no idea how very long ago Gautama Buddha lived. Most don’t picture the heads as being from anywhere or off anything, they don’t think of them as being as old as they are. They just look nice and arty and spiritual. 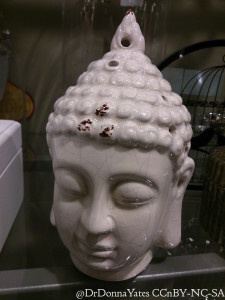 Obviously everyone can’t buy a looted Buddha head, but lucky for those in the market for a bit of culture to display, the decapitated heads have entered the pop sphere. 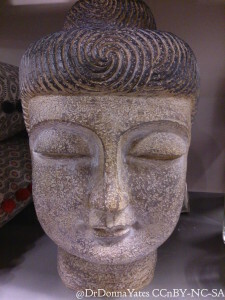 They are mainstream enough that you can buy faux versions of them for not very much money. 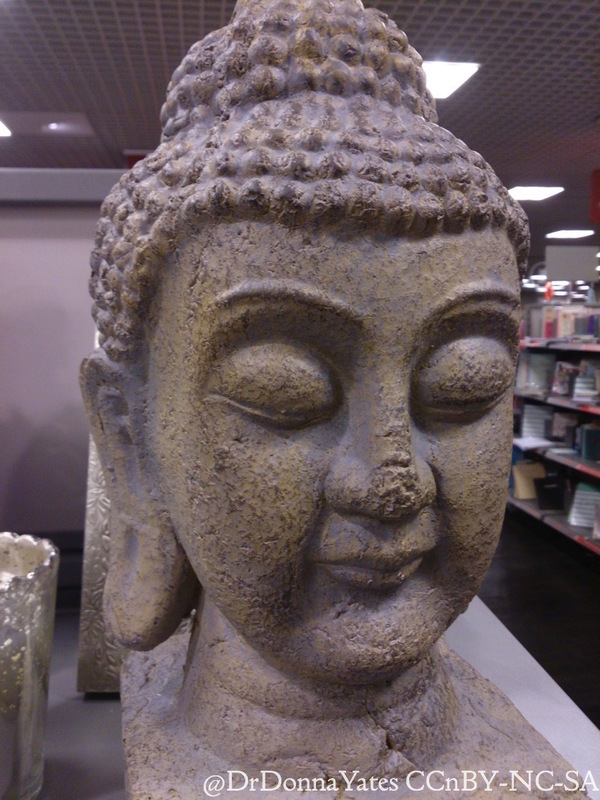 Some of these fake popular pieces even have jagged necks, simulating the breakage that one would see on real looted Buddha heads. Illicit antiquities chic? Commodification of destruction? Today I went to the Glasgow TKMaxx to buy some socks and a hairbrush shaped like some bird’s wings (unplanned purchase). 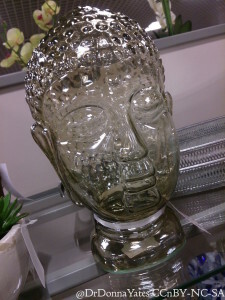 In the very few minutes I was in the store, I was able to size up my faux decapitated Buddha head decorating options. There were a lot of them. 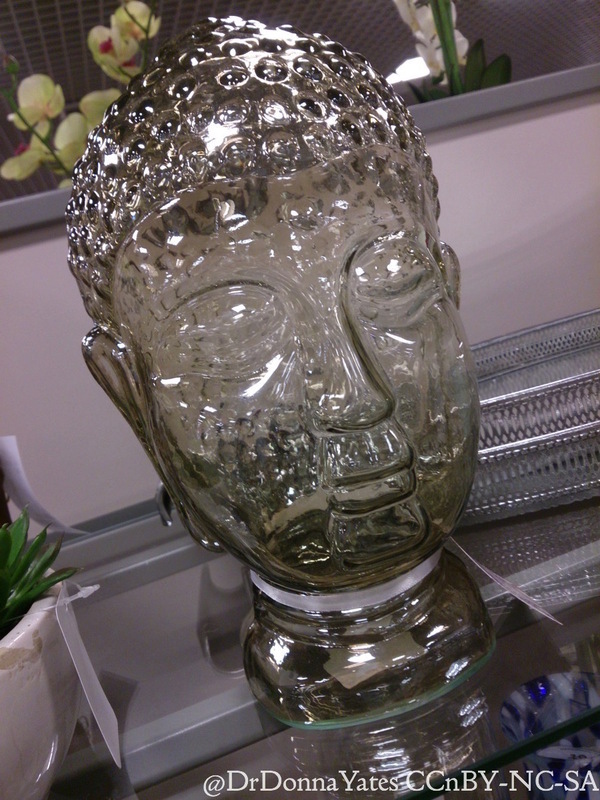 There was a large severed Buddha (?!) hand too which was super weird. 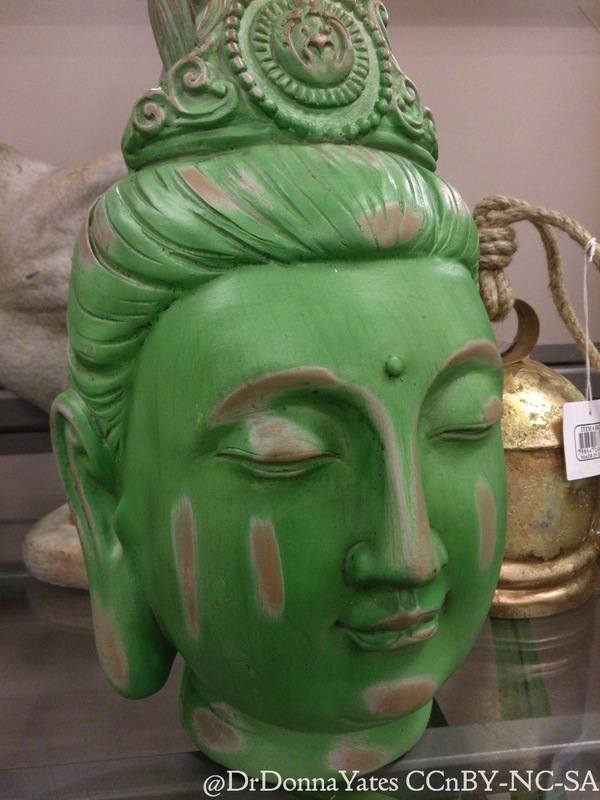 Keep your eyes out for other down market, illicit antiquities chic decor. It’s an interesting thing, the idea that mutilated artefacts have become so very mainstream that they can be bought in both bulk and variety without much effort. Snap poll of available people who also are the smartest people I know produced results that were about 900 years too late or nearly exactly spot on within 50 years. So there you go.